Adventure Racing and multisport races are growing nationwide with more and more races filling the calendar and more people signing up to take part. But what is the lure to take part and why should you be aiming to finish one? What’s Involved in a Multisport Race? There are many types of multisport race, from triathlons and duathlons to adventure racing and Obstacle Course Racing (OCR), but the basis is that you compete in a variety of different disciplines one after the other until you complete the race with 1 overall time. I previously wrote a blog on the merits of triathlon but I wanted to look at the wider appeal of multisport racing and specifically the burgeoning amount of Adventure Races and Adventure Challenges taking place around the UK and Ireland. Im sure you know by now that a triathlon comprises of swim, cycle and run of varying distances and there are alternative versions as well including duathlon (run/bike/run) aquabike (swim/cycle), aquathlon (swim/run) and SwimRun (multiple transitions). For many people the fear of swimming and particularly in open water with other people will hold them back from competing in triathlon. In this case adventure racing offers a suitable alternative as it replaces swimming, generally with kayaking or stand up paddle boarding (SUP). These races offer various formats with multiple road and trail running and cycling, along with 1 water-based section where the idea is to stay on top of the water rather than in it! Because they remove the swimming element these races have a much longer season than triathlons, but there are many other reasons why adventure racing should be on your to do list. Fun – multisport events have a wide variety of abilities taking part and because you generally have to kayak with someone else and can cycle closely together there is generally plenty of banter between participants. Challenging – make no mistake these races are difficult but with a bit of training you will be able to complete them. Variety – it’s easy to get bored training for one sport, but in multisport with cycling and running as the basis you can add on lots of others (kayaking, indoor rowing, yoga, swimming, SUP etc). Distances – there are generally a variety of distances available to cater for different fitness levels so start short and challenge yourself to go longer at a later date. Scenery – a lot of these races are held in beautiful places so at least you can enjoy the view to take your mind off your aching legs 🙂 Why not bring the family or friends and make the weekend out of it? Injury – training for multiple sports and off road training can help reduce likelihood of repetitive strain injury. The thought of competing in various sports is scary for some people, never mind all at one go during a race. It makes the anticipation so much greater as there are so many unknowns and more things that can go wrong! But don’t let that put you off as the feeling of achievement at the end is so much more. Imagine how you feel at the end of a normal race… then multiply it times three at the end of a multisport race! 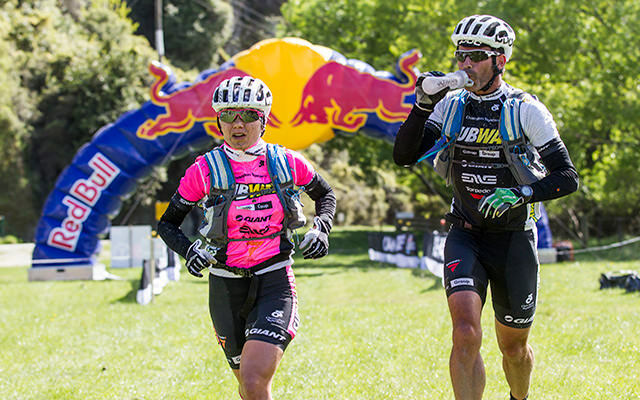 Adventure racing doesn’t yet have the club scene that exists for triathlon nationwide, but there are some clubs and groups that exist for general multisport and you can also join clubs for individual sports (cycling teams, running teams etc). You will always be able to persuade some people there to take part or rope in some of your friends instead! Training and racing is more fun and often more fruitful when done with others. Otherwise just sign up for a race and that will get you motivated to get out and train and meet other people. We are involved with a few adventure races in UK and Ireland. Quest have now expanded their Adventure Race Series to 4 in Ireland and 3 in the UK, with more coming worldwide. We also support the Questars series of Adventure Races across the UK and Mad Hatter Sports. All great quality sports events guaranteed to push your limits and put a smile on your face! Get yourself some gear – you need some specific basics before you compete. A lot of races will have a mandatory kit list such as first aid kit, spare tire, pump, jacket etc. Check out your Race brief for details and dont assume every race is the same! For every race a bicycle and helmet are paramount but you can hire these on the day at most races. Good runners will help whatever the surface but specifically trail runners for some races. Tight ‘compression style’ clothing is best to keep warm, prevent overheating and wick moisture. 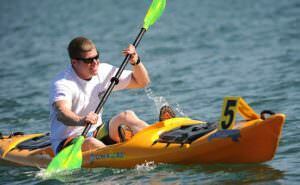 Races will provide you with a kayak and life vest for the water element of adventure racing. Otherwise choose some useful accessories that will make your life easier and help get you to the finish line a little quicker. The likes of a race belt, sports scarf and waterproof pouch can all come in handy but aren’t absolutely necessary. With all these reasons why Adventure Racing is on a massive growth curve worldwide and lots of local events to sign-up to, there is no reason why not to. You can choose your race distance, go the distance with friends, pick your location and build a holiday around it if you like. So where’s your next Adventure Challenge going to be? ?